Advanced Technologys AR15 TactLite SixPosition MilSpec Stock comes with a military Type III anodized 6061 T6 aluminum MilSpec buffer tube. 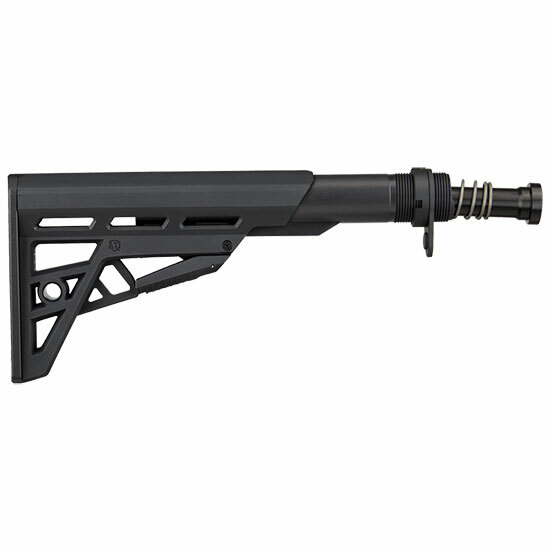 This stock features a TrakLOCK System that eliminates horizontal and vertical movement of the stock on the buffer tube provides smooth and secure stock adjustments and eliminates the need for secondary locking mechanisms. Also included are a thin Scorpion recoil pad a dualsided QD attachment point a slot for tactical sling attachment and is made of DuPont extreme temperature glassreinforced polymer.